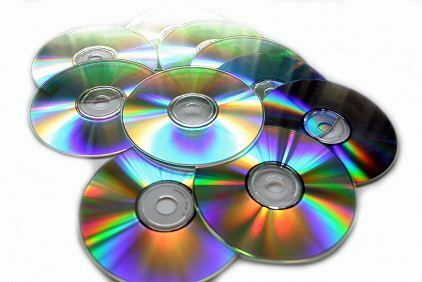 First, determine which kind of Compact Disc say blank CDs, movie CDs, game CDs or music CDs to purchase. Search on the internet by category and brand. Say for example if you are searching for the top CD titles, then browse categories like rock, pop, jazz, country, easy listening, blues, classical, reggae, rap, folk, hip-hop, and alternative music. After browsing and selecting a particular category, determining the CDs will help in narrowing your choice. Compare the CD prices. Many comparison shopping websites are available which can be accessed anytime for free. Get to a comparison shopping website and look out for cheaper CDs. These web sites will have the CD store links where the CDs can be purchased directly online without actually going to shops personally. Visit web sites that purchase and sell vast selection of LPs, DVDs, CDs, and other reviews. Massive lists of online stores sell new and also used compact discs at relatively cheaper cost which can be found in internet. Many such online stores offer gift cards, discounts and coupons. Find out for newly released CDs. Great bargains can also be done on the new releases. Many online stores have most often purchased CD titles that contain movies and music from well-known famous artists. These online shops will just require one to be members of their club by signing up so great deals and variety of incentives can be claimed for. Free shipping for the ordered CDs is also made available. If you are searching to purchase blank CDs, then search by brand or by data or memory storage capacity. More popular brands include Sony, Verbatim, Maxell and Imation among others brands. Also determine the memory capacity for the CD you want to buy as to how much file you want to store and whether it should be a recordable, only readable or rewritable CD. Visit most popular online auction sites or marketplaces such as eBay and Amazon where number of vendors and stores selling new CDs, blank and used ones can be found. Check out for yard sales nearby where there are still chances for finding new CDs and used ones which are in good condition and also not surprisingly, cheap priced CDs are got from yard sales. Consider to buy CDs in bulk when they are found at cheap prices. Thus money can be saved when bought on wholesale.